Yep you read correctly.. DT call is now on for Aifactory. We will be having a blog hop on Thursday to make the call widely known but I wanted you all to get in early and sign up!! other store as well! . You must be able to create cards , hybrid , embroidery , stationary or any kind of project using AIF stamps provided , make a post at the blog , take part in challenges at AIF . Promote AIFACTORY Stamps/graphics through your blog, and whenever you see an opportunity to help us promote. You must be able to join our Group at Paper craft planet and promote it on PCP as well. You will be provided digital stamps before they are released every week, or sometimes stamps already available for purchase , expect to recieve around 10-15 digital stamps to work with during 3 months period . DT members who bring in more users to the site are awarded further with incentives and free downloads of their choice every month. Your profile and bio will be posted at AIF sites ie challenge blog , AIF Blog , AIF community and AIF store . You do not apply for DT on my personal blog, follow all the links above to get to the right place! Dont forget our blog hop on Thursday this week.. prizes are on offer!! 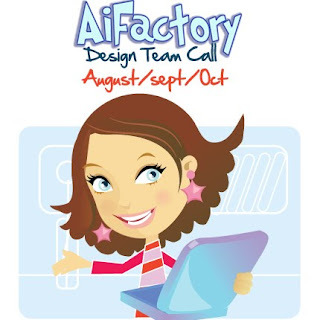 It's A AiFactory Blog Hop!